A1 Overseas International securely ships North Korea! Call 1-800-450-5319 or fill out our form for a FREE quote! Shipping a vehicle to North Korea is absolutely a challenge and any person unfamiliar with the country’s Customs would likely find the challenge too much to even bother. The strict laws and regulations will deter any U.S. citizen from trying to import any goods into the country. However, the stipulations can change at any time. Even if there is a short period of time where Americans are forbidden from importing goods into North Korea, it will likely not last. At A1 Overseas International, they stand by your side throughout the entire process. Perhaps one of the shipping companies best features is their ability and insistence to guide you through the country’s importing laws and requirements. 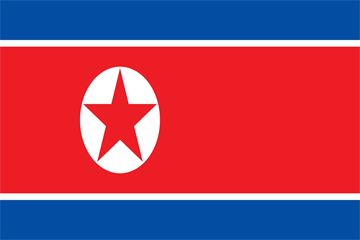 Around the same time as scheduling your auto's shipping process, contact The Embassy of North Korea to receive current information on vehicle imports/exports. If vehicle import seems feasible, allow your international auto transport experts to help you better understand the requirements and gather all pertinent documents in time. Take a deep breath. The most difficult part of dealing with auto transport to another country is over. Now, you can complete the minor task of vehicle preparation. Getting your vehicle ready for its shipping process is usually a condition of the transport company. There isn’t too much involved, but it helps protect the vehicle and those involved in its transport. Simple fill out the form or call 1-800-450-5319 for more info and a FREE price quote on boat, motorcycle and car shipping!